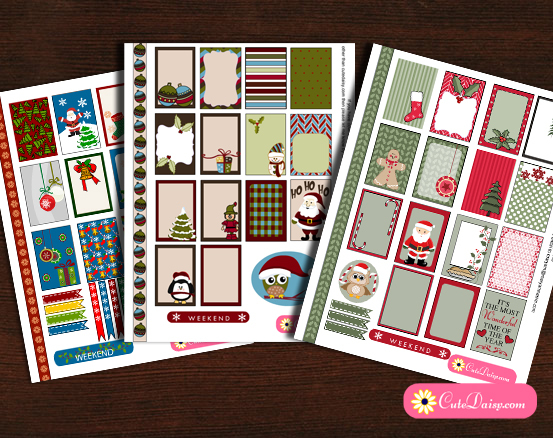 So today I finally completed these three Free Printable Christmas Sticker Sampler Kits for Erin Condren and Happy Planner but I still want to make more and maybe I’ll make more because I simply love Christmas. 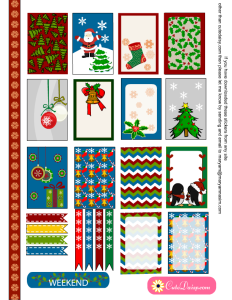 That is why I have made a complete site with non planner related Christmas printables. 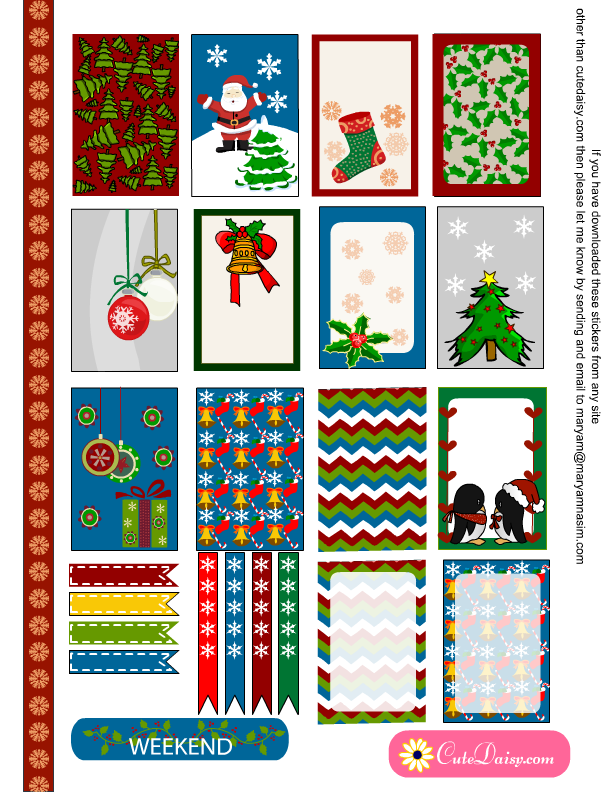 For your planners I have made these free printable Christmas countdown stickers and Christmas washi tapes. 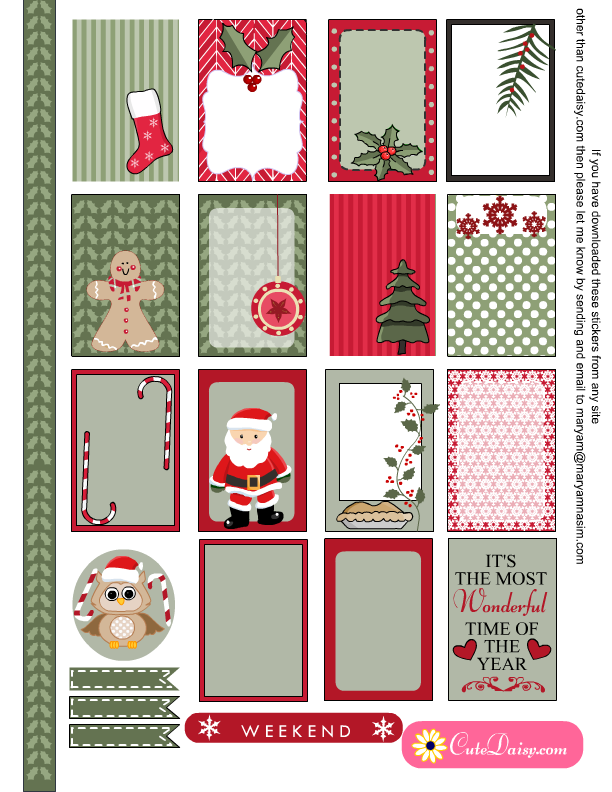 If you are also a crafter besides being a planner addict you might like these Christmas Stencils as well. 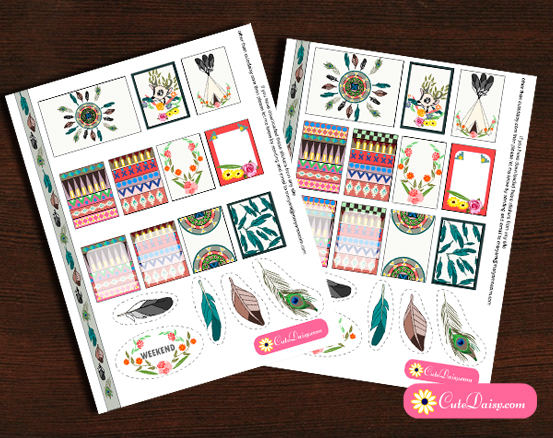 Ok now let’s talk about the planner sticker sets that I have made for you. 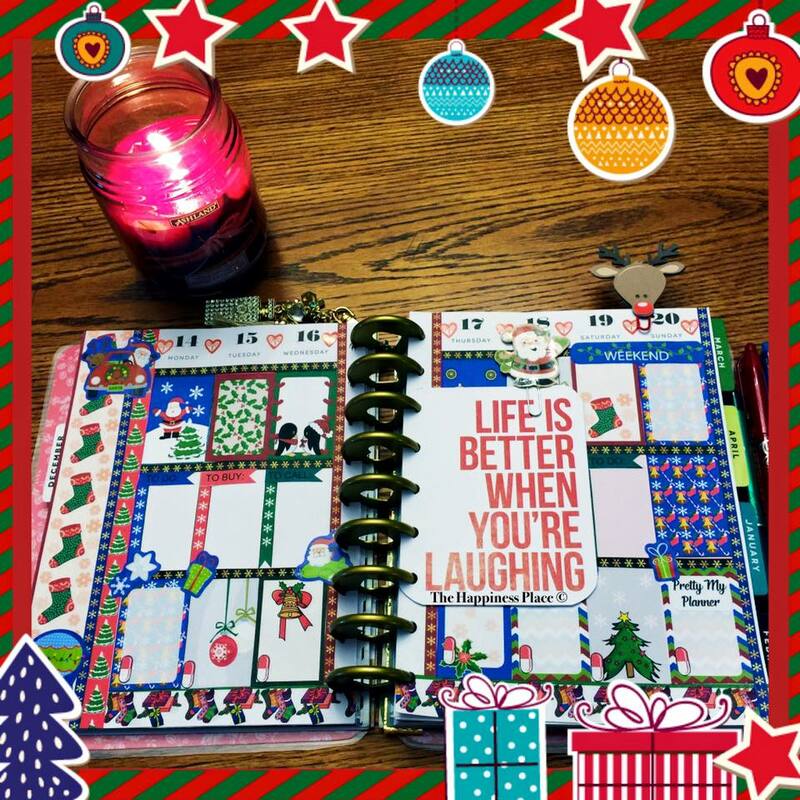 I have made 3 sets that will fit boxes of Happy Planner and Erin Condren Life Planner. You can also scale these to fit the boxes of other planners that you have. I have made these using three very different color palettes and very cute graphics. I have made images of Christmas ornaments, Santa Claus, cute owls, Ginger bread man, candy cane, Cute Penguins, Bells, Stockings, Elves and many many more cute objects. You can print these on Avery sticker paper sheet of letter size or any ordinary paper and paste in your planner with the help of a glue stick. Do not resize these stickers if you are using these in HP or ECLP. I have made boxes in 1.5″x2.25″ for Happy Planner and 1.5″x1.9″ for Erin Condren. This is the first set of stickers that I have made for Christmas. I love the color combination that I have used in this set. 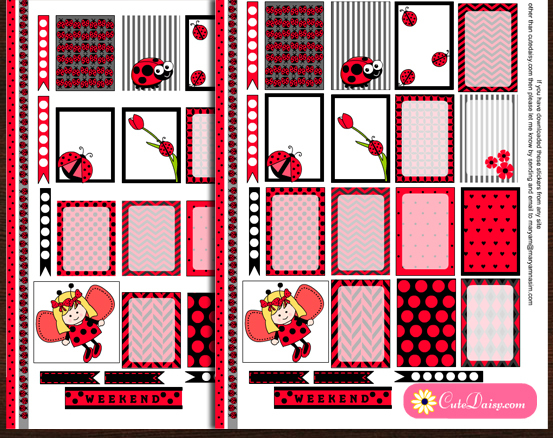 You can download this set for your Happy Planner here and for Erin Condren Life Planner here. 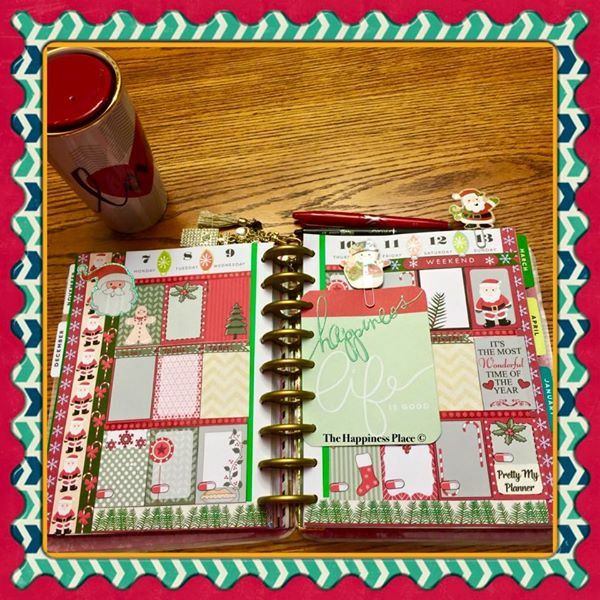 This is the second set of Christmas planner stickers and I have used brighter colors in it. 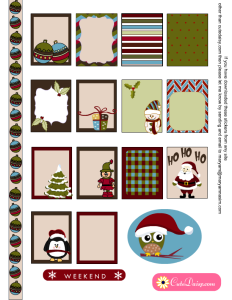 You can download it for Happy Planner here and Erin Condren Planner here. 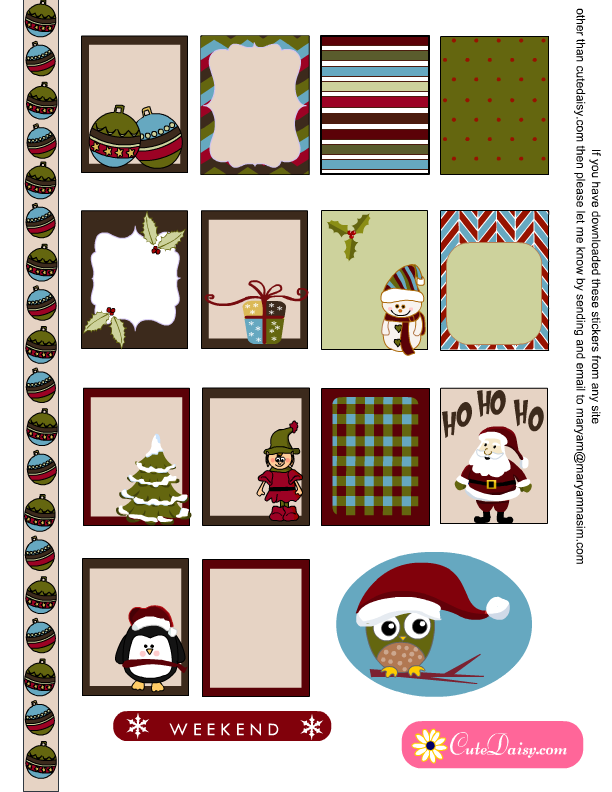 This is the third set of these Christmas planner stickers and this is also in an entirely different color tones than the others. I have totally fallen for the cute owl that I have made in it. You can download it for Happy Planner here and ECLP here. 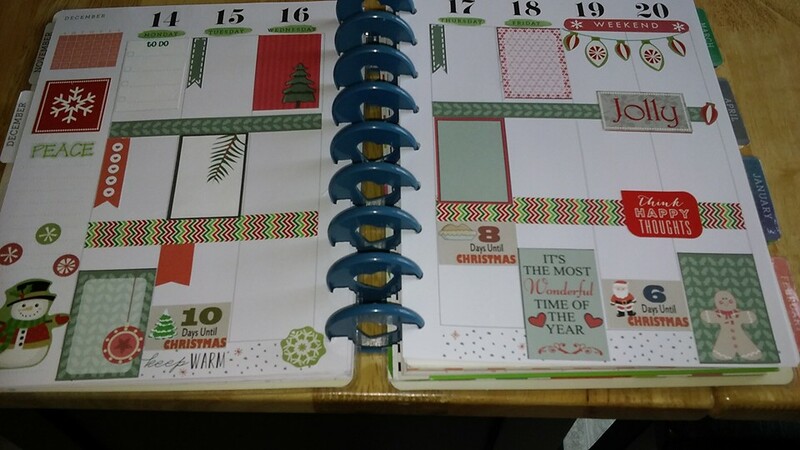 This is how Sarah Davis has beautifully used the first set of these Christmas stickers in her planner along with some Christmas countdown stickers. Please do not forget to share your comments, pin it on pinterest and share the link on Facebook and other social media. Keep me in your prayers. I wish you a very Happy Christmas. Thank you so much, beautiful work as usual! Thank you so much for sharing your time and talents with all of us planner addicts. I look forward to each of your post! These are wonderful…so excited I print all three!!! Can not wait to use them. Thank You!!! Again you have made the most beautiful stickers for our planners. Thank you so much for all your wonderful ideas and inspiration. I absolutely LOVE these! Thank you so much for sharing your wonderful talent! Can’t wait to print and cut these! Thank you for sharing. They are so cute. Love the colors. So vibrant! Just in love with all your stickers, thank you so much for designing them! Thanks for sharing…. Love it! Thank you so much for sharing your work, love your work! Love all the sets..!!! Thanks a lot for sharing !! Thank you so much!!! These christmas stickers are really very adorable!!! These stickers are incredibly cute. I printed them for my Happy Life planner. However, I think I didn’t print them correctly because they are a bit small. Any printing tips? Small in length or small in width? 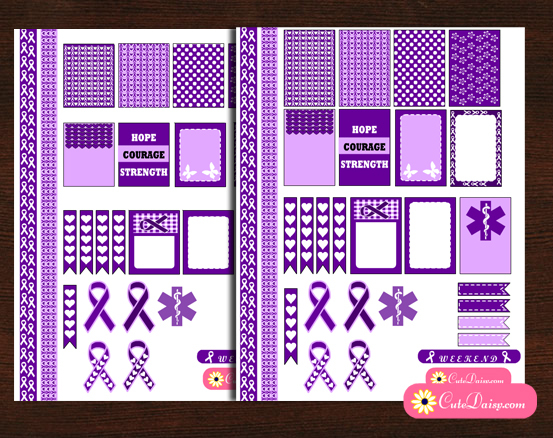 Make sure that you have downloaded the file that is made for Happy Planner and not for Erin Condren Life Planner. The box size I have made for happy planner is 1.5″x2.25″. Kindly measure the box size in your happy planner and let me know if the one that you have has a different height of planner box.